SEOUL -- Samsung Electronics Co. said it was in talks to acquire a stake in Chinese automaker BYD, a move it said would help the South Korean electronics giant boost its chip business for electric vehicles. Samsung said it has not finalized how much it would spend to buy the stake, nor how big a holding it would take in BYD, which specializes in EVs and is backed by Warren Buffett's Berkshire Hathaway Inc.
BYD officials in China weren't immediately available for comment. Global automakers and technology companies have formed a series of partnerships in recent years as the race to develop electric, self-driving, internet-connected vehicles has created demand for more electronics components and software. Samsung has created a team to develop automotive-related businesses, seeking a new sector to drive earnings amid signs that the global smartphone industry -- its profit mainstay -- is slowing. The Korea Economic Daily reported that Samsung agreed to buy new shares worth 3 billion yuan ($449 million) in BYD, which would give Samsung a 4 percent stake in the automaker. Samsung declined to comment on the reported terms of the deal. "We plan to discuss cooperation in various businesses going forward," Samsung said in a statement announcing the investment. 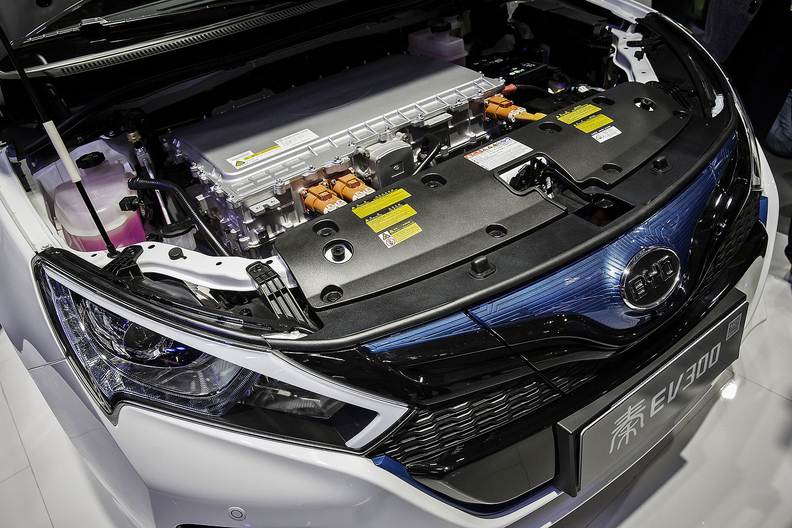 But Samsung denied that battery supply was part of the BYD tie-up. Samsung SDI shares trimmed gains and were trading up 2.3 percent as of 0310 GMT. Meanwhile Samsung Electronics shares firmed 1.2 percent, versus the broader market's 0.6 percent rise, hitting their highest levels in more than three years and extending gains posted since it said last week it expected a 18 percent rise in quarterly profit.